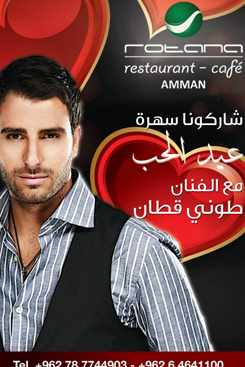 Mai Hariri @ Sky Lounge! 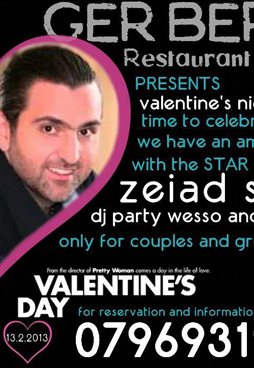 GERBERA Restaurant & Café Presents Valentine's night DJ party time to celebrate with the STAR Zeiad Saleh. DJ party Wesso and Qais. 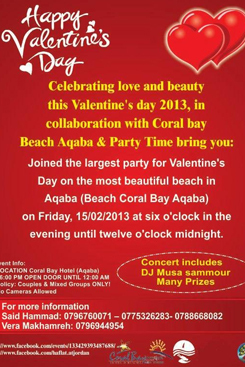 Only for couples and groups. 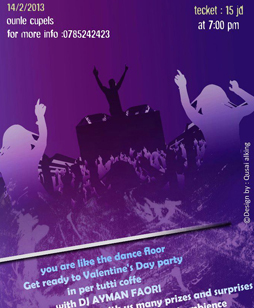 G Club in association with Jordan Sky Events Presents "Could You Be Loved" Valentine's Night Featuring DJ Lady Bex! 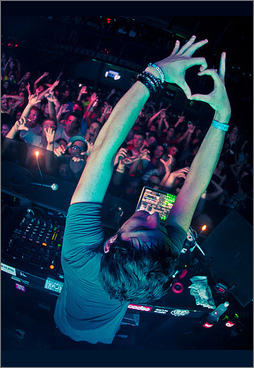 A Night for the once who found love and the ones looking for it! Expect a RED Covered Venue that will swipe you off your feet, unique giveaways especially tailored for a LOVE Night to Remember! 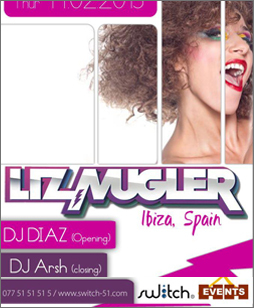 Supported By G Club Resident DJ Team, DJ Wael Qumsieh, DJ Rami Abbassi, and DJ Rakan Warraqi. Dress Code: Smart Casual with a touch of Red. P.S. Some Red Accessories available at the Venue. 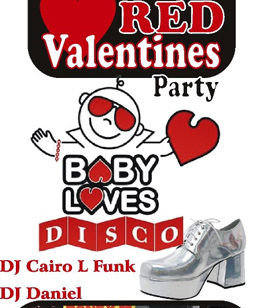 Music: DJ CairoL'Funk will Be Spinning all night your Favorite Disco, Latin, Oriental and Funky House. 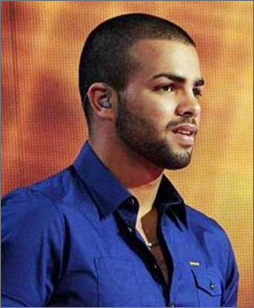 CairoL'Funk is one of the Founders of Atun Entertainment and RedSea Events the Major Events producers for Terrazzina Sharm, Buddha Bar Cairo, RUSH Dahab, Nile Hilton Cairo, Sheraton Cairo, Mio Club Berlin, Car Wash London...etc. 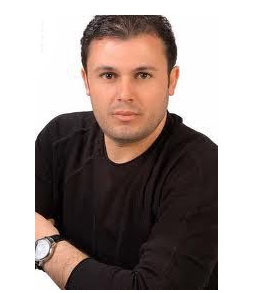 DJ Daniel Nazzal: fluent @ Progressive House, 12 years of Experience in Jordanian Clubs and abroad. 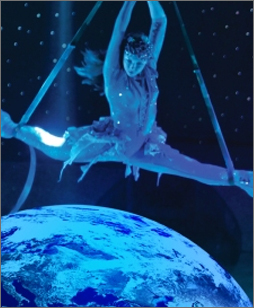 The brilliant Russian Ice Stars combine with the magical world of cirque in an eclectic mix o spectacle and ice dance that is guaranteed to dazzle, thrill and entertain all ages. 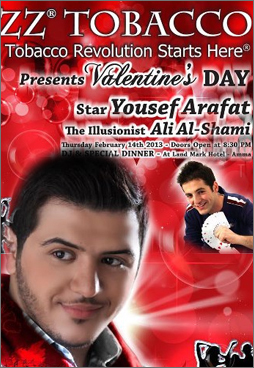 The legendary Evolution show will be performed at 8:00pm on the 14th, and twice at 4:00pm & 8:00pm on the 15th, and twice at 4:00pm & 8:00pm on the 16th of February, 2013. Tickets are of three classes; Class A of 60JD, Class B of 40JD, and Class C of 25JD. 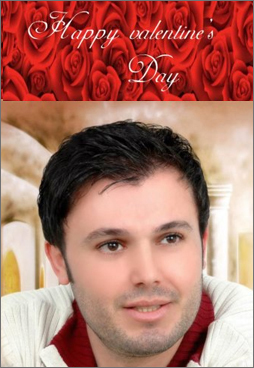 Mohammad Ramadan sings for this Valentines @ The Village Cafe, Jordan University Street. 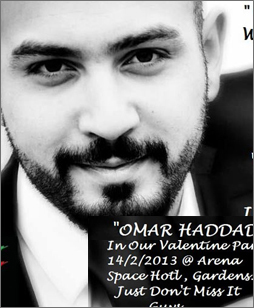 Love Is In The Air "Valentine Musical & Dinner Party" @ The Grand Ballroom inside the Arena Space Hotel, Gardens. 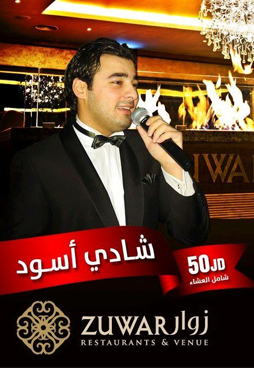 Featuring DJ Yazan Saleh. Party starts at 8:00pm. 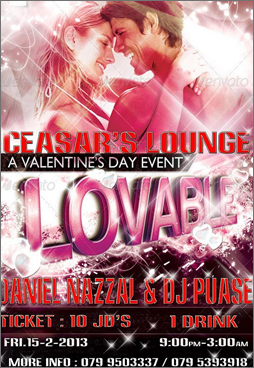 Ticket Includes Amazing Dj, Valentine Show, Amazing Light System, Open Buffet Mazzas, Open Buffet Dinner, 2 Soft Drink, Water. 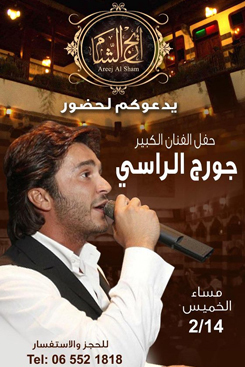 Ticket Price Only JD20. No Cover Charge For Alcohol Drinks. Ice Provided For Free. Kids Under 7 Are For FREE. 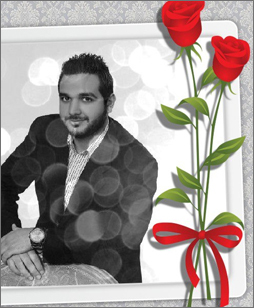 Many Prizes And Surprises Are Waiting For All Of You..
Open Doors At 8:00 p.m.
Valentine Day Party @ Deir El Qamar Restaurant, Abdoun. 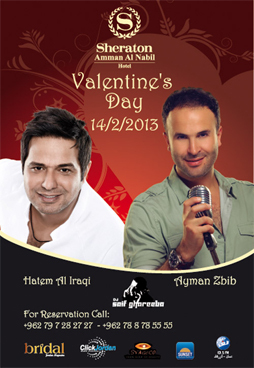 Happy Valentine All Join us On 14Feb Thursday Night With Wasim Shaar & DJ. 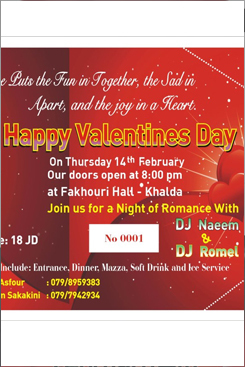 For More Info Please Call: 065934666 - 0796222216 . 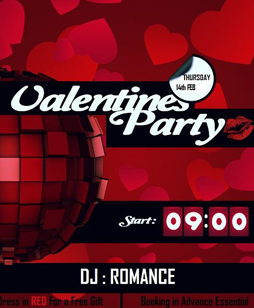 Valentine Day Party @ Zuwar. Restaurant & Venue. 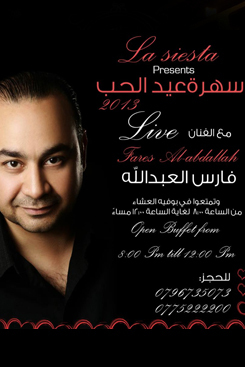 Ticket is 50JD including dinner. 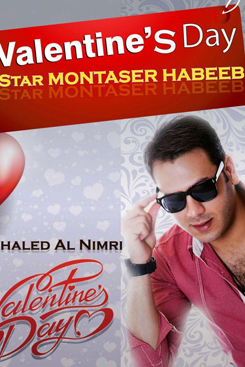 إستمعوا الى المطرب محمد الفارس في حفلة عيد الحب بفندق كواليتي سويتس عمان بالاضافة الى بوفيه عشاء مفتوح و دي جي. ابتداءاً من الساعة الثامنة مساءاً، سعر التذكرة 50.00 ديناراً للشخص الواحد. 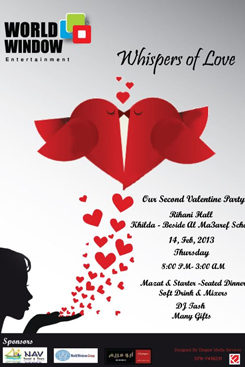 Join us at al fakhoury hall in Khalda. Ticket price is 18JD. Including: 10 kids of mazza, Special main course, 1 soft drink, free Service for alcoholic drink.The Special our bar will serve all time of alcoholic drink, mixes, Beers, Fresh Juice, Soft Drink. Entertainment : Lottery with Special gifts. 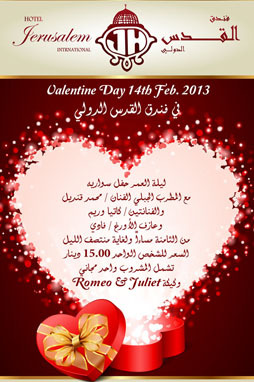 GET Ready for the lovely big party in the valentine day at Rama Hotel in amman city 7th circle. 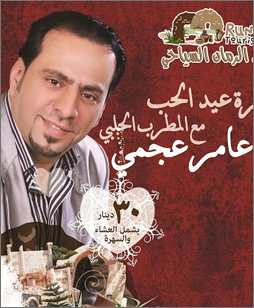 Featuring: DJ Rami and bellagon's team. Along with DJ Roni. 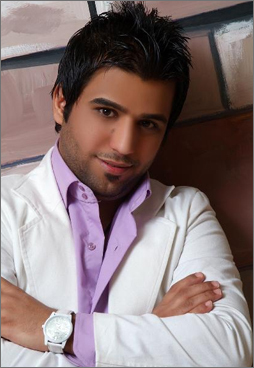 The shows include Bellagon, Cekoo, Abraheem, TJ & The Hip Hop Singer Stone. 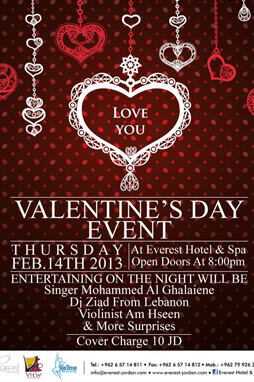 Ticket price is free for girls and guys 10 jd included one soft drink. Couples and groups. 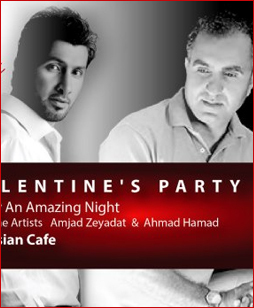 Valentine's Party @ Toplanti cafe. From 2:00pm to 6:00pm. 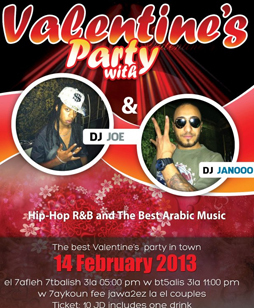 Will be live with DJ Najeeb Shahatit. 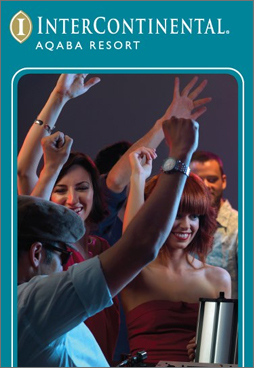 The party includes all of the below: 2 Soft Drink for 15JD per Couple, 1 Soft Drink for 8JD per Person with Group, Argeela only for 2JD, 10% Discount for Total Order Checklist. 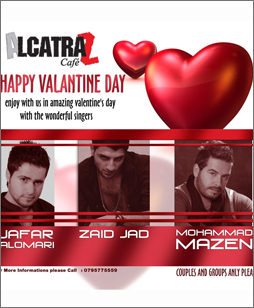 meet us at 5:00 pm until 8:00pm in Alcatraz Caffe and we will give all of you our word ( you will never forget this day ). سهرة حب مع المطرب الحلبي عامر عجمي في منتجع الرمان السياحي‎. 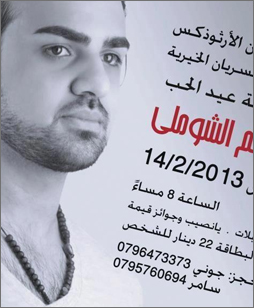 سعر البطاقة 30 دينار يشمل العشاء والسهرة. At Decater Lounge, Abdoun. 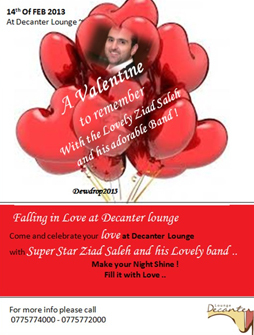 A valentine to remember with the Lovely Ziad Saleh and his adorable Band ! Fill it with Love .. Shake It Up This Valentine's Day. 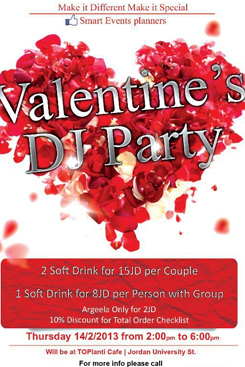 Sway to the rythm of love and celebrate Valentine's Day in style with an exciting DJ party at Martinis Lounge. 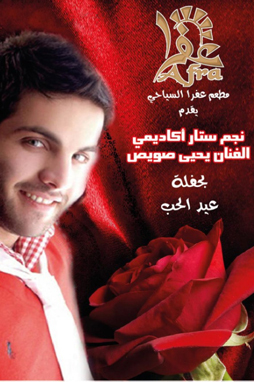 استمتعو معنا بسهرة يوم الخميس 2013/2/14 مع DJ MICE . 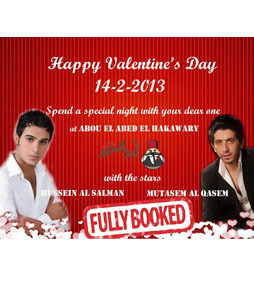 Want more Great & creative ideas for Valenties Day.. We at jordanSun.com have combined a list of Things to do in Amman on Valentine's Day! The list will be growing soon, so keep checking!